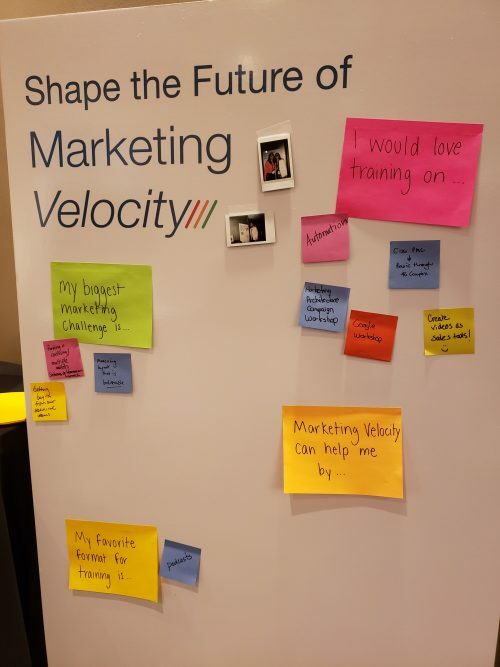 NEW ORLEANS — More than 200 channel marketers listened intently to Marcus Sheridan talk about swimming pools Wednesday during Cisco Systems’ Marketing Velocity event. The bubbly personality and partner of River Pools and Spas, a Virginia-based installer of in-ground fiberglass pools, walked through his company’s impressive turnaround after the 2008 stock market crash. By 2009, the business saw a massive decline in orders, going from an average of six per month to two. Sheridan was on the verge of bankruptcy. But of course, he helped turn the business around – it would have been strange for Cisco to invite him to deliver a keynote otherwise – with the help of informational blog posts and videos he created. Business is booming, said Sheridan, and he’s looking to expand across the country. It raised a lot of eyebrows among the marketers in attendance until the pool guy referred to the number 70, the percentage of customers that most studies suggest make a purchase decision before a face-to-face meeting. According to Cisco, that number is 60 per cent when it comes to B2B customers. “What is the emotion that ultimately leads to a customer giving you their money? It’s trust,” explained Sheridan. Suddenly, his blog posts – which replaced much more expensive television and pay-per-click advertising – didn’t seem so crazy, even though some of them recommended competitors as alternate options. “It’s okay if people are learning about my competitors because they’re already in my house,” explained Sheridan, referring to his website. This level of openness, he said, develops trust with the customer. Partners in attendance seemed to appreciate the message, even though for an entire hour, there wasn’t a single mention of artificial intelligence and machine learning. Sheridan even encouraged partners to confront their fears around publicizing the cost of their services online. “The real reason we get upset as buyers is we know they know the answer most of the time, and so it feels like the business is hiding something,” he explained. Partners share ideas and concerns about marketing with post-it notes. Photo by Alex Coop. Johanna Delroy, who was in attendance at Velocity – and recently promoted to vice-president of marketing for Compugen Inc. – said Sheridan’s call to action for partners resonated with her, specifically his message about transparency. The topic of AI and machine learning in marketing did eventually rear its head at Velocity. The idea is gaining traction among some partners because of the technology’s ability to notify the marketing and sales teams during different parts of a customer’s buying journey, prompting them to respond with a push notification or phone call. But Delroy said a lot of those prompts are still done manually. “It’s not something we’re very far down the path on, but it’s on my list of things to explore,” she said. Delroy isn’t new to Velocity. Last year Compugen won the Marketing Velocity Innovator Award for its marketing efforts in Canada. But Sheridan’s keynote this week, she said, was Cisco’s way of saying the partner community can do better. “Out of all the events vendors put on, this one is my favourite. Cisco doesn’t try to shove its products down your throat. They understand it’s about elevating the level of their partners so that we can do a better job of marketing and selling,” she said. Long gone are the days when sales people would celebrate big server sales with blow horns and sirens. Sometimes there was music, too, according to Danny Rhee, manager of product and partner management for CDW Canada. “To see it go from that to what we’re doing now…deals in the 100K to million-dollar range, has been fascinating to see develop,” he said. A lot of that success has been driven by the company’s e-commerce platform, noted Colleen Daly, the company’s product manager, and the successful transition to a recurring sales revenue model that is now reflected in its marketing. 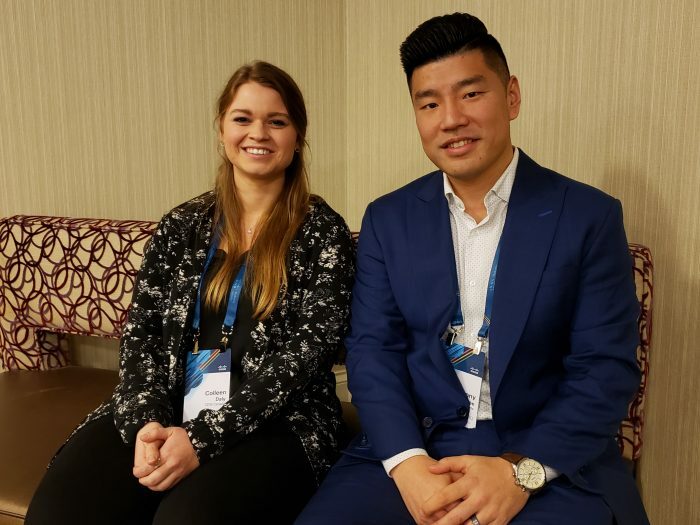 CDW Canada’s Colleen Daly, product manager and Danny Rhee, product and partner management. Photo by Alex Coop. “Putting the message out there that tells people to buy a laptop from us is different than our advertising for Webex, or Hyperflex. The message has to be about business outcomes and addressing the problem a customer is trying to solve, versus ‘buy this product from us because we have it.’ That shift is something we’re constantly thinking about when we’re coming up with campaigns for Cisco,” she said. But CDW Canada can lean on its American counterpart for additional resources when necessary. Many partners, specifically in the SMB space, don’t have that luxury. Some don’t even have a dedicated marketing manager, according to Jennifer Villers, Ingram Micro’s head of marketing in Canada. “I will enter meetings with partners and ask ‘How many of you have someone who does marketing’? And if I get one hand up, I’ll follow up and ask ‘Do they do something else’? And the answer is usually ‘Yes, that person is also our receptionist’,” said Villers. Ingram Micro has seen some significant wins among partners that have taken advantage of the distributor’s digital marketing and education tools, she added. The distributor is closely aligned with several vendors, Cisco being one of them, and its co-branded marketing materials through Agency Express, custom branding by the Creative Services Agency and targeted campaigns are used regularly by partners. Villers said they’ve recently supported five partners and trained them on how to market to customers with surgical precision using digital marketing and campaigns that emphasize services, not just products. Coming up with a marketing strategy to reflect contractual sales is an enormous hurdle for many partners, Michael Hopfinger, director of Americas partner marketing for Cisco, told CDN. The increasing number of mergers and acquisitions doesn’t make things any easier, especially since most of them end up failing. That’s why vendors are looking to distributors for assistance. Nobody understands this more than the pool guy, and he had a simple message for partners who still have serious reservations about being more open with their marketing.